Chrissi is a true natural escape. This tropical island of the Libyan Sea is waiting to be discovered! When you arrive on Chrissi, you will get magnetized from the exotic natural beauty that dominates on the island. An island dedicated to nature, conquered from endless sandy dunes with aquamarine waters and scents of cedar trees, will take your breath away. A walk around the island offers a relaxation feeling that becomes unforgettable. Are you ready to find a special sense of liberation in the rhythms of nature? 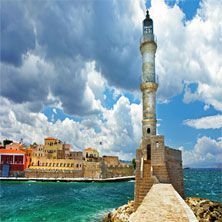 Chrissi is an uninhabited island located eight nautical miles south from the city of Ierapetra. The island features exotic natural landscapes dominated from cedar trees and aquamarine waters. Chrissi is protected as an area of intense natural beauty from the European Network of Natura 2000. Moreover, the sea turtle Caretta-Caretta and the monk seal Monachus-Monachus have been observed in the northern coast of the island. Please show your utmost respect to this unique oasis of nature, which took hundreds of years to evolve in this paradise! A cedar needs 50 years to grow one to two centimeters. Discover Chrissi through a photographic journey of Google! The first evidence for the island come from Stasiasmus who mentions that “… Ierapetra has an island named Chrissi which has a port and water…” and Buondelmonti who mentions that Chrissi is “…a flat and almost uncultivated island, beautiful, with hermits and lentisk and cedars…” in the 13th century. 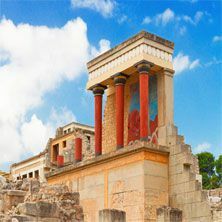 Although Chrissi has been mostly an uninhabited island, it used to be inhabited in the Minoan Era as evidenced from the remains of the small settlements of the island, where people seem to be involved with processing shells to make the dye called Royal Purple. 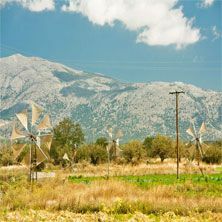 Nowadays, Chrissi has been declared as an Area of Intense Natural Beauty and as a Wildlife Refuge from the European Network of Protected Areas of Natura 2000 in order to protect the natural environment. Belegrina, else known as Golden beach, is a tropical sandy beach with turquoise waters with a rich seabed of beautiful shells. The beach is the most renowned of the island and it resembles the beaches of the Caribbean. The beach is well organized with umbrellas and a canteen. Hatzivolakas is a tropical sandy beach with turquoise waters with a rocky seabed. The beach is ideal for naturists located next to the beach of Belegrina. 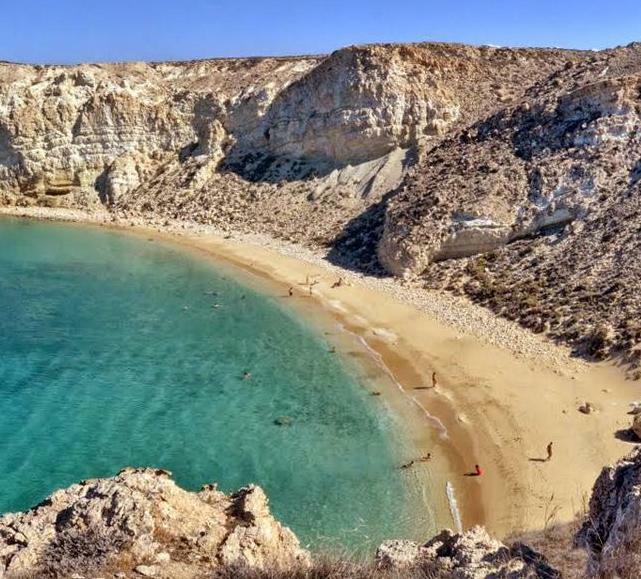 Kataprosopo is a tropical sandy beach with turquoise waters overlooking the islet of Mikronisi. The beach is ideal for those looking for seclusion seclusion. 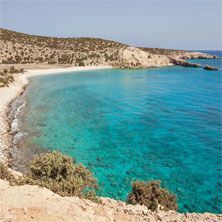 Chrissi is accessible by boat from the town of Ierapetra and on a daily basis from early May until late October. During the summer, the beach bar of Chrissi operates at the beach of Belegrina! The best spot to watch the sunset is the beach of Belegrina! It is not allowed to (1) stay overnight, (2) light fires, (3) walk outside the designated paths and (4) collect rocks, shells and plants on the island of Chrissi! Chrissi is the natural habitat of many animal species including two types of worms including a snake, a lizard and a rabbit. Moreover, the sea turtle Caretta-Caretta and the monk seal Monachus-Monachus have been observed on the northern coast of the island! Chrissi Official Website can enlighten you! Chrissi means Gold in the Greek language. 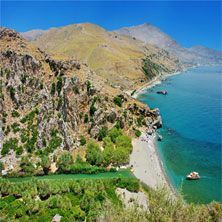 The beaches of Chrissi have series of marine species including 54 species of fossils. 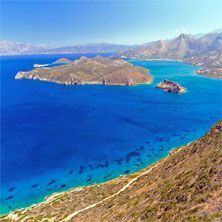 The island of Chrissi has been declared as a protected Area of Intense Natural Beauty and a Wildlife Refugee from the European Network of Natura 2000.